Psylent Buddhi is an extremely talented and unlucky oldschool producer: all his precious work from the 90’s was lost. Fortunately, some dedicated goa enthusiasts managed to minutely recollect the tunes he’d shared before his disk crash, and 20 years later you can finally enjoy his wonderful works! “Lunar Core” starts softly with a light shower of hypnotic acid twirls. Just enough to warm you up before the storm starts. “Neura” immediately catches you with a deluge of brain scratching sounds and fx. Just after that, “Secrets Of The Atom” blasts demented galloping kick/bass and head banging sound manipulations converging into a massive climax! Moksha is regularly played in the unreleased collectors’ scene, and for a reason: it’s one of the best mind boggling, euphoric tunes you’ll ever experience! Be warned, its reckless acid lines will alter your brainwaves and scatter your conscience all over the dancefloor! But don’t expect to rest anytime soon, because “Convergent Images” will blow you away with its brilliant oldschool analog work! “Metalucid” showcases another of Psylent Buddhi’s creative facets with a tale dedicated to trippy-trance-dance experiences! Dedicated to more classical goa melodies, “Innerscape” is the perfect tune to play at dawn, whereas “Lightswitch” is a tribute to morning colors with spiraling melodies over a brilliant background of sparkling acidic tweaks! 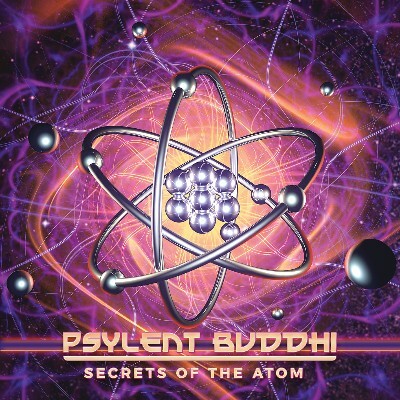 Psylent Buddhi’s album is like no other: a timeless ode to uncompromised acid lines and banging breaks aimed at the most demanding goa crowd. There’s no better way to start the year 2019!